The Sunny Jar Eco Hub is a social mission lead by three mothers living in Tower Hamlets who have become driven to reduce the amount of waste they create on a regular basis. 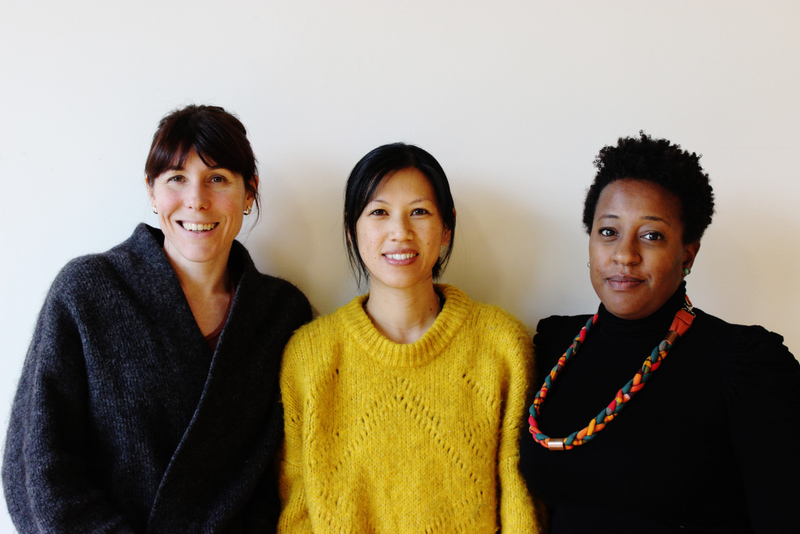 Priscilla, Maud and Linda have come together from different cultural backgrounds to help the Tower Hamlets community save money by presenting cheaper substitutions to save the planet and reduce the waste in landfills. They aim to empower the community to shift their outlook towards a ‘low-waste’ lifestyle. Whilst understanding that they have different needs, Priscilla poetically stated that they: ‘walk together on the same journey’. Sunny Jar Eco Hub revolves around supporting one another as they aim to reach both the young and old generations to educate and relate with a diverse community. They want to build bridges to create a large support system through social settings, projects and workshops. I sat down with Maud and Priscilla to understand their social movement and share ideas on how we can help each other to become sustainable and create a brighter future with a low-waste lifestyle. The Sunny Jar Eco Hub began from their frustrations of being restricted to shopping with plastic bags. The use of the bags felt inescapable and so they felt obliged to stop complaining to each other about the excess usage of plastic and to change their lifestyle. Maud and Priscilla agreed on their feeling of helplessness and moved ahead to find a way to empower not just each other, but their community too. They describe themselves as ‘normal people’, who just want to ‘be able to do something for our community’. Maud adds that ‘being three is really a blessing’ and they pick each other up. This social movement grows from the encouragement and love from each other, directing this energy towards their community. Sunny Jar was born from the desire to be positive to change and encourage communities to become sustainable. ‘Sunny’ exudes positivity and support and the symbol of the jar presents resilience and creativity. The jar can infinitely be recycled and reused in someone’s daily life and so is an important material in their projects. As a small group, there are difficulties in numbers and geographical locations. They agreed that volunteers are necessary in order to keep this movement growing and with a location to hold their projects such as The Library of Things and bulk buying groups. They are currently looking for a physical location to be able to reach and interact with the community. ‘We are all volunteers and we need more volunteers to help’, says Maud. They take this as a challenge and are prepared to push forward to develop a presence in Tower Hamlets. Their passion comes from their excitement for these projects and their desire to support their community. The Library of Things became a project that was the most anticipated by both Maud and Priscilla. It aims to develop a ‘sharing economy’ where members of the community can get to know one another and support each other. It saves a significant amount of money and reduces the levels of a waste a household may turn out. In the interview, they made a list of items such as tools, toys, kitchen items and things that can be borrowed instead of purchased. With the desire to educate different cultures who don’t come from ecological backgrounds, they see ‘Tower Hamlets as the perfect and challenging place to start’, says Maud. They described that they want their social enterprise to become a ‘physical go-to place’ that is also a ‘lively place where you come and immediately feel a friendly vibe where you feel like you can do something and feel inspired.’ Maud continued that they want to ‘help the community create a place where a school can come to, to inspire your kids to become more ecologically friendly’ and develop a mentality where we are waste-aware. Priscilla explained that they want to build on two aspects: the community and the business. The business aims to run workshops at companies so they can fund the community aspect where they can provide Tower Hamlets with the ‘knowledge and tools of sustainability’. They moved onto defining what a low waste lifestyle meant to them. Maud shared what it meant to become conscious of our responsibility as a consumer, the fact that we have a choice. Throughout the interview, she emphasised the importance of a consciousness towards reducing waste as a step forward to maintaining a low waste lifestyle. She shared that she would separate the unrecyclable plastics from her bin to recognise where majority of her plastic waste lies. This is a method that helps her take responsibility of her output of waste and move towards reducing that waste. By being conscious of the waste we generate and being able to see how much non-recyclable waste we create, we would start to develop the consciousness of a low waste mentality. To recognise the consequences when we buy something which will encourage us to make decisions and solutions. On the 23rd of January (tomorrow), there will be a set of free workshops held at Poplar Union where you will be able to make your own jar sleeves for a reusable drink bottle, make your own detergent for your bathroom or kitchen and lastly, make your own tea bags. Priscilla explained that the workshops aim to encourage people to look at the products at home and think about ‘reusing, reducing and revaluating what you have in your hands’. Their workshops will become technical but first, they will help the community begin to realise that there are possibilities to reducing waste in your own home for free and with ease. The launch is to help get started and begin the move towards a positive ‘can do’ mentality. Priscilla suggested to take baby steps and not to overwhelm yourself: ‘take one thing at a time, either one change every week, month, or even, year’. Their key tip was to be patient with yourself and ‘make it sustainable to you as a person. Make it achievable and work at your goals slowly and at one step at a time’. The second tip was to not be judgmental but supportive towards those who are critical of a sustainable lifestyle. Priscilla continued this by discussing that by being aware of our output, it helps us to control the levels of rubbish that we generate. She suggested that we should keep count of how many times a week we take out the rubbish and aim to reduce that amount. By trying to reduce the amount of rubbish we throw out, we will be a step closer to living a low waste lifestyle. This starts from a shift in the way we view our rubbish. The workshops will begin this change in looking at the objects we regard as waste in a new light. The unrecyclable plastics, objects and glass jars we throw away can be given a new use to move us closer towards a sustainable lifestyle. Priscilla continues to advise that if you see the low waste journey as a limit, you won’t get far. However, if you view it as an open door, the difference in mentality will create new interests such as cooking, creativity and bonding with friends and family. Their social movement aims to support Tower Hamlets in taking a step forward to become an ecologically aware community to create a better future for this generation and the next.